I am Meenakshi from Panchkula I am an astrologer doing business in local and want to start online, Would like to share my views and knowledge with your Organisations. I have done astrology full time course from Parasher Institute Delhi and got Jotirvid Certificate and Acharya from bharatiya vidya bhavan. I have 17 years experience on Kundli prediction and remedies. My objective is to help peoples with my views and predictions. Looking forward for your reply,I am a qualified Astrology, Numerology, and Vastu expert. I am a expert in providing accurate predictions in different fields of Finance, Sports and Matrimonial match making. My areas of specialization include love, marriage, divorce, finance and wealth, business, job and career prediction. I will provide accurate future readings through a medium of Horoscope. My offers guidance to all My clients, encouraging them to move in a positive direction and face the challenges that may lie ahead for them. The solutions i suggested have scientific background and are very easy to follow which does not disturb the regular schedule. 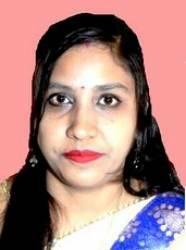 I am Meenakshi from Panchkula I am an astrologer doing business in local and want to start online, Would like to share my views and knowledge with your Organisations. I have done astrology full time course from Parasher Institute Delhi and got Jotirvid Certificate and Acharya from bharatiya vidya bhavan. I have 17 years experience on Kundli prediction and remedies. My objective is to help peoples with my views and predictions. Looking forward for your reply.